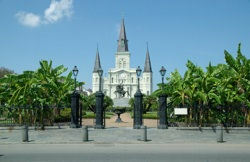 New Orleans Aerial Tours & Flight Training is proud to be located in one of the most unique, authentic, and mysterious cities in the US, New Orleans. It is our desire to capture the heart and soul of the city that we call home from the sky. In the city shaped like a crescent, it gets tricky finding your way around. Let us put it all in perspective for you. From the bayou to the Dome, from the river to the lake, from the cemeteries to the mouth of the river, from the Quarter to the Spanish Plaza, you can capture it all in one flight. Come see your favorite local landmarks, neighborhoods, and other cultural gems from different altitude! Advance purchase required. Tours sell out quickly! If you're not trying to redeem a previous purchase, but would like to purchase one of the tours on this page directly, please select the Book Your Tour button for the option you prefer and follow the prompts. * Cameras allowed and recommended. Get some of the most unbelievable pictures! Tours are conducted seven days a week between 8:00 am and 5:00 pm. An additional fee of $100 applies to any request for a reservation after normal hours, except for the Big Easy Lights at Night. Fuel surcharge may apply. We know you may have more questions, and we have answers! We are happy to answer any question if you contact us, but you may find the answers right here. Services: All flights/tours/lessons are conducted in comfortable, airworthy airplanes; NOT helicopters. Aircraft is not wheelchair accessible. Refunds & Exchanges: Refunds and exchanges are not permitted. All sales are final. Once purchased, tickets cannot be refunded because your space is being guaranteed at the event. In addition, when purchasing a flight as a gift or for another traveler, no refunds will be given under any circumstance. Rescheduling: Unless otherwise stated in purchase, New Orleans Aerial Tours & Flight Training requires a 72 hour notice to reschedule without charge, within the limitation of third party purchase agreements when applicable. If we are not provided sufficient notice, client forfeits the full amount of their payment and/or voucher and any additional upgrades purchased. At the time of your order NOAT&FT removes the availability of tickets/planes from your chosen time from our inventory, reducing the number of flights available that day. While this allows our customers the benefit of a guaranteed experience it prevents us from overselling or reselling in the event that you do not attend your chosen flight time. Late Arrival: There is a 10 minute grace period after your scheduled flight time. For late shows beyond 10 minutes, we cannot guarantee the full time reserved, and we reserve the right to reduce your flight by the time delayed. Weather: The activity usually runs in light rain and other moderate weather conditions.In the event of a unique weather event, New Orleans Aerial Tours & Flight Training of New Orleans reserves the right to alter, modify, or reschedule any tours due to weather or unsafe conditions within two weeks of the original reservation. Refunds are not available if a flight must be rescheduled due to weather conditions. Ticket holders should have an alternate date/time in mind should weather pose an inconvenience. Waiver: All participants are required to sign a liability waiver before taking the tour. If it is not signed prior to check-in, it will be required at check-in. Safety/FAA Regulations: For activities that include alcoholic beverages, all participants must be age 21 or older with proper government-issued ID. New Orleans Aerial Tours & Flight Training of New Orleans reserves the right to deny boarding to and is prohibited by the FAA from allowing any person/persons that appear to be under the influence, incapacitated, or unfit to fly to board the aircraft. The pilot has responsibility to maintain safety of flight. If the pilot deems, he is being assaulted, intimidated, or interfered with, pilot has authority to return to airport and discontinue activity. Failure to abide by these policies will result in immediate forfeit of the full amount paid. Also per FAA regulations, all participants must wear a seat belt while in the aircraft and smoking is prohibited. Identification: All participants are required to sign a liability waiver before taking the tour. If it is not signed prior to check-in, it will be required at check-in. New Year, New Adventures! Take to the skies and see the city from above in an airplane. An aerial tour of the city is the perfect gift for all occassions. This is an exciting 30, 45, or 60 minute aerial tour of New Orleans by airplane. View the Mississippi River, the French Quarter, Superdome, and Port of New Orleans like you've never seen it before. Then fly out to the beautiful bayous of South Louisiana. Of, if you prefer our experienced and knowledgeable guides will customize your tour to see whatever you want! Minimum booking of 2 passengers required. Advance purchase required. Tours sell out quickly! Check availability and buy tickets. A sight unseen! Enjoy a 45 or 60 minute sightseeing flight by airplane and a basket with a bottle wine and cheese while soaring above the beautiful skies of New Orleans. Minimum booking of 2 passengers required. Getting engaged, ready to propose? Your love is an adventure, your proposal should be too! Arrive to champagne and chocolate before being whisked away to your private carriage on the runway. Leave the world behind as your love takes flight when you and your sweetheart delight in the dazzling city lights where the colors sparkle like the diamond she doesn't know is coming. You've never experienced a romantic evening like this, give her a brag-worthy proposal story to last a lifetime. Our engagement package, A Flight Named Desire, is possibly the most memorable way to make a romantic gesture. We offer a solution for every budget. Choose from: Gold, Platinum, and Diamond. You choose the package, We make the magic, you pop the question. This package includes: 30, 45 or 60 minute daytime or after-hours tour for 2, pre-arranged flowers, premium champagne & chocolate or wine & cheese, and recommendations and a reservation at a top-rated restaurant. This package includes: 30, 45 or 60 minute daytime or after-hours tour for 2, pre-arranged flowers, premium champagne & chocolate or wine & cheese, recommendations and a reservation at a top-rated restaurant, and limo/SUV transportation services to flight & reservation. This package includes: 30, 45 or 60 minute daytime or after-hours tour for 2, pre-arranged flowers, premium champagne & chocolate or wine & cheese, recommendations & reservation at a top-rated restaurant, limo/SUV transportation services, & an on-site professional photographer. Whether it's an anniversary, birthday, or just an excuse to rekindle the flame and spend some time together, New Orleans is the perfect place to celebrate the one you love. Let Cupid's Pilots take you on a 30, 45, or 60 minute romantic flight by airplane over the City of New Orleans with a toast of champagne and treat of chocolate for you and your sweetheart! This is a perfect gift for any romantic occasion. Minimum booking of 2 passengers required. Come watch the sun dance across the Mighty Mississippi and lights twinkle over the Crescent City! This tour by airplane is offered in 30, 45, or 60 minute durations between 5:00 pm and 9:00 pm. 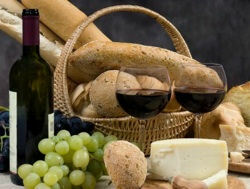 Add wine and cheese or champagne and chocolate to your flight to make the night even more special. Minimum booking of 2 passengers required. To capture that perfect bird's eye view, you can rent one of our aircraft with one of our pilot's who is a local and is familiar with New Orleans and gulf south region. Minimum booking of 1 hour required. COMING SOON! Helicopter Tours. Yeah, we got dat! Take your date, friends, or family sky dancing above the crescent city and sparkling lights of the Big Easy! Leave the traffic and tourists below and go vertical for an unforgettable view from above the Crescent City. Available in 20, 30, or 40 minute options during the day or after hours. Maximum combined weight of passengers not to exceed 840 lbs. AVAILABLE SOON! In New Orleans we don't need an excuse to have fun. So forget Bourbon Street, and take the party to the sky! Leave the crowds behind and take your small group of 4 on a private Big Easy or Lights At Night Aerial Tour by airplane. Maximum combined weight limit 600 lbs. Refreshments can be added for an additional fee. If you have a large group interested in sightseeing, please contact us to customize a package to meet your needs. Minimum booking of 4 passengers required.